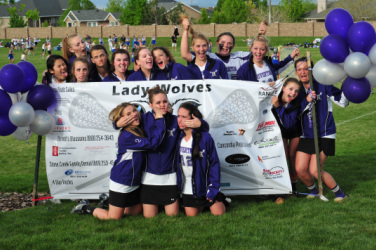 The Riverton Girls Team ham it up in front of the 2012 Sponsor Banner. 1. Read the forms below. Go to a business that you know. 2. Explain that you are on the Riverton Lacrosse Team and you are selling banner advertising for the program. You can use the letter or just explain the contents of the letter in your own words. 3. Fill out the order form and collect check from the company for $150 to RHS Lacrosse. 4. You will need to follow up with the company to send the company logo file to www.rhsgirlslax@gmail.com.